Dr.M.Ramaiah (82), Founder-President of Indian Concrete Institute passed away at Chennai on 8th January 2014. As Director of SERC(1976-1990), he had the vision to set up ICI as a Society and provided all the inputs required including office space and services of his senior colleague Er.Zacharia George, to be its first Secretary-General. The initial rapid growth of ICI can be attributed to this team. Dr.Ramaiah also instituted an Annual Endowment Lecture at ICI out of his personal funds. Dr.Ramaiah was an eminent Engineer-Scientist and led a number of Research Projects and published large number of papers which were referred in Civil Engineering world. 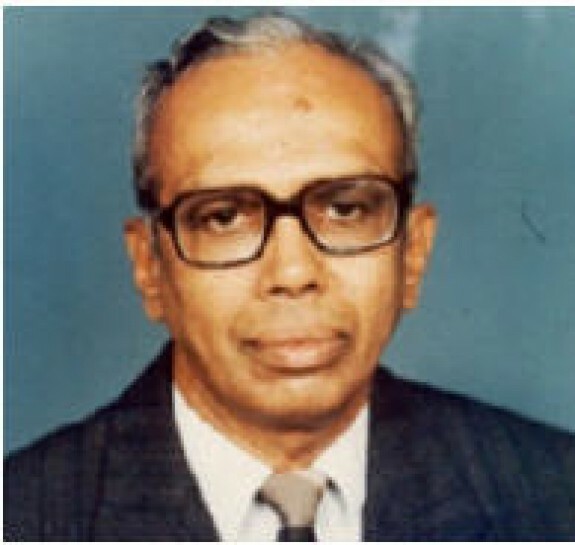 He was a close associate of late Prof.G.S.Ramasamy, the first Director of SERC(1965-76). Aptly, Dr.Ramaiah succeeded him as second Director of SERC Chennai. He was instrumental in the rapid growth of SERC under UNDP funded programme under which a Tower Testing Station and Structural Dynamics Labs were set up at SERC. Sleepers and Fibre Reinforced Concrete Manhole Covers. Later, he was with the United Nations Centre for Human Settlement (UNCHS) at Nairobi for long years, as Head of Projects. Dr.Ramaiah was also a philanthropist, helping several individuals and institutions generously. He donated liberally to the building fund of ICI Head Quarters. He was a brilliant student, holding first rank in all classes. He attended the best of Engineering Institutions for his education. Annamalai University - TN for B.E. ; Indian Institute of Technology, Kharagpur for M.Tech and University of Missouri (USA) for Ph.D. Dr.Ramaiah held Fellowship of several professional bodies. He has also written books on social and religious subjects. Dr.Ramaiah is survived by his wife and 3 children. All of them are well settled in USA. ICI and its members will always remember his valuable contributions to Civil and Structural Engineering profession and particularly to ICI. ICI fraternity salutes this visionary forever and prays the Almighty for his soul to rest in peace. I know Dr Ramaiah very well. He was a simple, humane and kind person. It will be excellent if persons of Authority emulate his style of working.His name will be ever remembered by the members of ICI. Heartfelt condolences to the members of his family. May his soul rest in peace.